Well, I’m expanding this whole blog malarkey from essentially ‘Ideas’ to ‘Books and Ideas’. 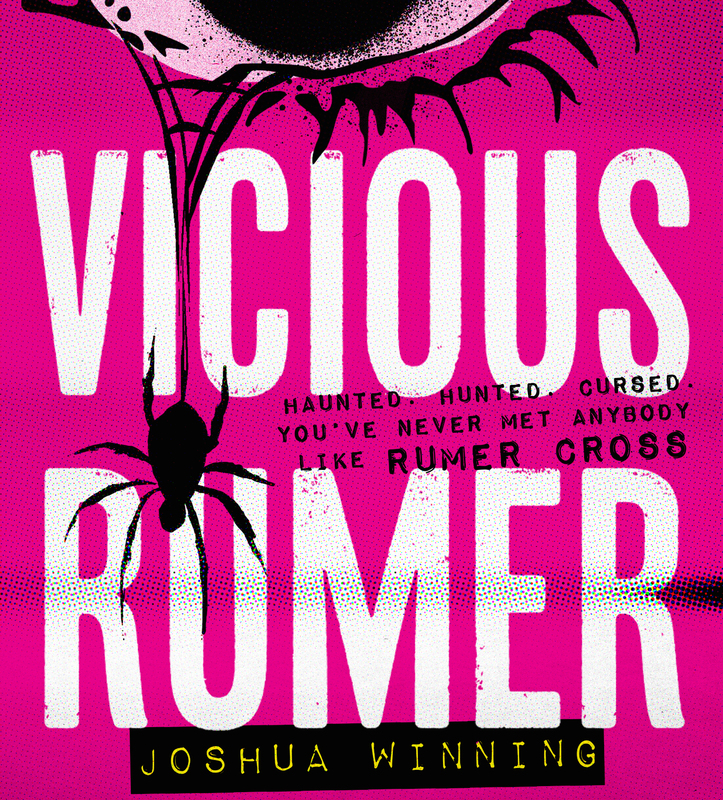 And to kick off the books thing, I’ve just finished reading Vicious Rumer by Joshua Winning. So how was it? Worth buying? I should coco. I suppose with the caveat that it’s a pretty action-packed (the faint-hearted should read that as ‘violent’) and slightly creepy/dark psychological thriller. And I couldn’t quite work out if it’s intended to be YA or just has a teenage girl as the main character. Given that I normally hate YA, either the answer is no or it manages to be all things to all people! I’m sure it’s a pun that annoys him no end, but I’d say Joshua is winning with this book! As a longtime sci-fi/horror author and journalist, mostly of movie-related news, he’s already published three YA horror stories. But this is about the new book, not the author, so if you want more info about Joshua and his work, click on his picture. A dark atmosphere overhangs Vicious Rumer. Often it’s actually set in the dark, but there’s more to it than that. The structure and writing make it feel eerily supernatural throughout, despite none of the action actually doing anything impossible. Which was fantastically unsettling. It is very tightly written so the pace is high throughout, and yet there is still a constant air of mystery. The strange character of Celene Cross, Rumer’s mother, is consistently unclear. Deliberately so … I think. Is she real, or a ghost? For me, as the reader, I was left unsure. In a good, mysterious, supernatural kind of way. I found this aspect of the writing brilliant – I could never point my finger and say well look that shows she’s alive, or the opposite. Having grown up with her mother’s early death overhanging Rumer, our heroine’s whole persona is defined as being her mother’s daughter, which creates significant conflict within her. Unsurprising, as Celene was one of London’s most notorious assassins, and her body was found in the Thames when Rumer was very young. What exactly happened has been a focus for the girl during her childhood to the extent that she has a shrine of news articles devoted to trying to work out Celene’s death, and life. And the feeling that her mother is always in the shadows of her life is genuinely gripping. Ghost or not, the ambiguity works well. And Winning doesn’t just cop out with an ‘it was all a dream ending’, but does leave things ripe for a follow up story…. The story definitely is quite bloody – strangely, two books I’ve read recently have engaged in hammer violence (I literally mean violence with a hammer, that’s not some Hammer House of Horror reference). And in a couple of places this horror aspect was a bit far-fetched. Well, actually, maybe not – it is horror after all. But the action stunts did strike me as a bit much. Given the context of the story though, it was only a little bit much. Rather like the jet plane stunt Bruce Willis manages in Die Hard 4 where he jumps off a crashing jet’s tail fin onto a broken motorway ramp and slides down it escaping the plane’s explosion: ludicrous but you’ve gotta love it in the context of the movie. There’s nothing quite that mad in this novel, but given that Rumer is a teenage girl eking out a life in London’s invisible underbelly, and has previously only really engaged in following people, the guns and blood and fights did seem a bit of a sudden jump in her life. But that’s the point I guess – suspend disbelief coz that’s the reason the story tells of this time in her life; there’s no Die Hard 0 – ‘McClane walks the beat’. So, get into the swing of the hammer fun, and get yourself a copy of Vicious Rumer!